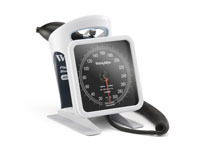 Sphygmomanometers, or sphygmos, are also known as manual blood pressure monitors. 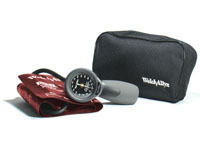 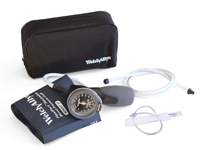 They use either an aneroid or mercury pressure guage connected to a blood pressure cuff with tubing which is inflated using a hand-held pump and air release valve. 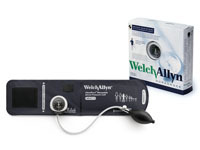 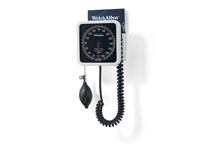 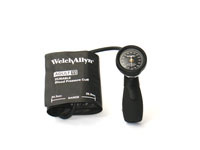 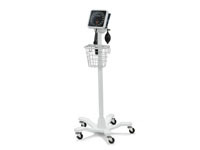 We sell models manufactured by Welch Allyn and A&D Medical. 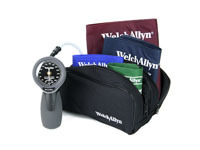 Great looks and clinical-grade accuracy make the 767 series, one of the best Welch Allyn aneroids ever!